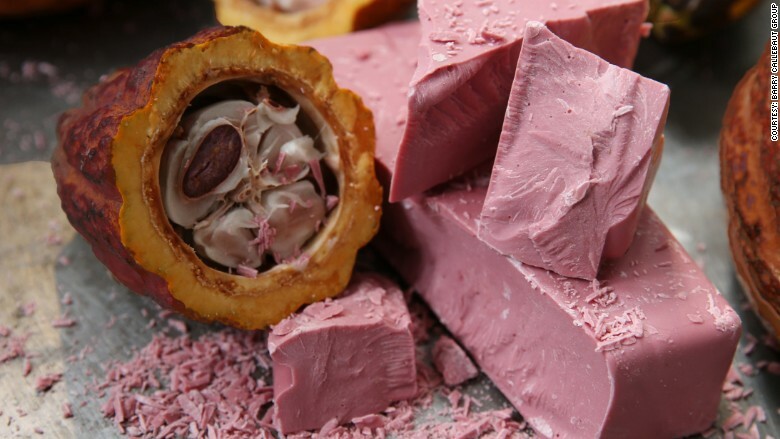 Dark, milk, white and now ... ruby chocolate. Barry Callebaut, a giant Swiss chocolate producer, has introduced what it describes as a new type of chocolate made from "Ruby" cocoa beans. The company introduced its creation at an event in Shanghai, describing it as naturally red and fruity. "The fourth type in chocolate offers a totally new taste experience, which is not bitter, milky or sweet, but a tension between berry-fruitiness and luscious smoothness," it said in a statement. Barry Callebaut said that no berries or berry flavoring were used to produce the chocolate. Instead, the bean's flavoring was unlocked through an "innovative process that took many years to develop." At least one chocolate expert was skeptical. Chocolate expert and writer Dom Ramsey said that it was difficult to gauge the potential of the chocolate variety because Barry Callebaut has not said much about its ingredients or production process. He said that another producer had tried in recent years to sell a "fourth type of chocolate," but the offering "turned out to be little more than marketing." Barry Callebaut did not respond to requests for comment about its production process. Barry Callebaut (BYCBF) is one of the world's biggest chocolate producers, with annual sales approaching $7 billion. It has almost 10,000 employees. The company doesn't sell its chocolate directly to consumers. 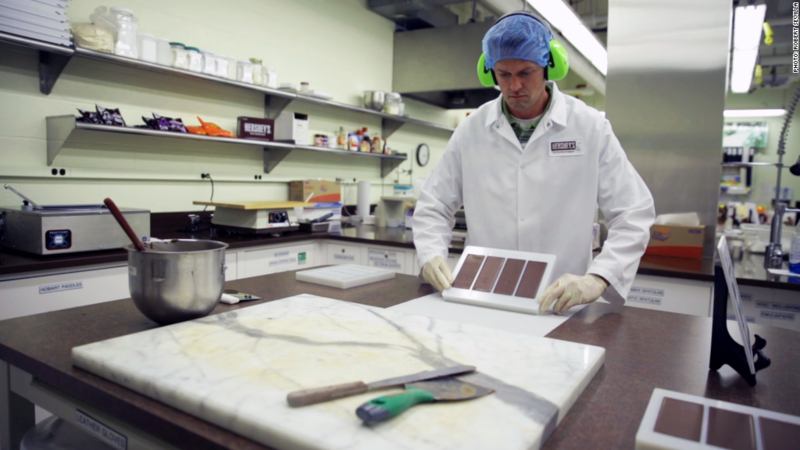 Instead, it supplies its products to global chocolate makers.